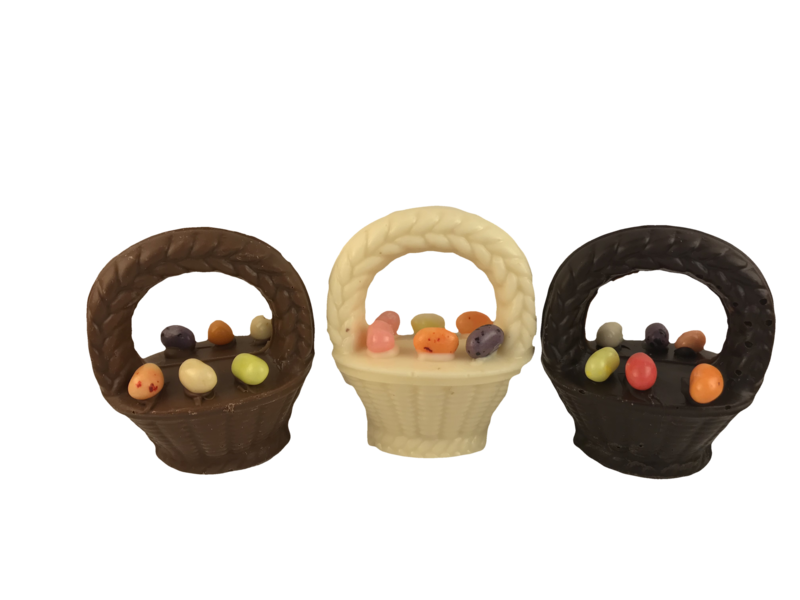 Solid white, milk and dark chocolate Decorated Easter Basket mold. Great item for your Easter basket! !